In a scalding skillet, roast the pistachios carefully for 2-3 minutes. 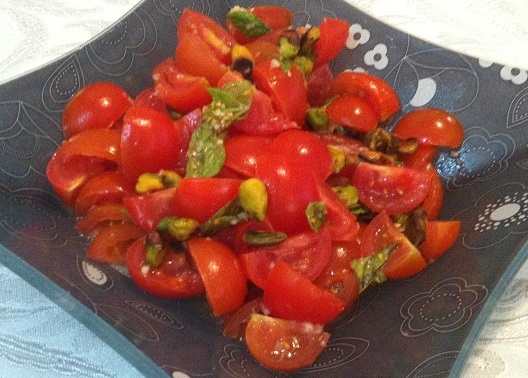 Add the pistachios and spearmint to the cherry tomatoes. Peel and take the Pomelit apart into its individual segments. Peel each segment, and break the “meat” into 1″ pieces. Gently stir in the pomegranate seeds and green onions. Add the oil and season with salt to taste. Garnish with a few leaves of spearmint. 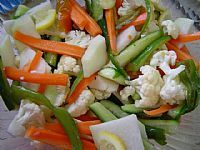 Place all vegetables in a bowl, add all dressing ingredients and toss until all vegetables are covered. I recommend making it at least 2 hours before serving, so that the vegetables soak in some of the dressing. Toss again before serving. 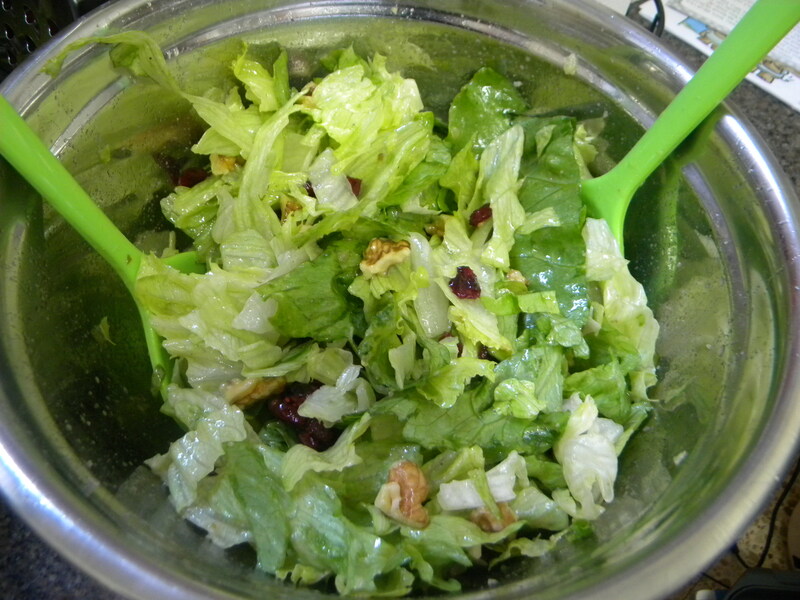 This truly is a cheat salad… 2 minutes to prepare the salad, 5 minutes for the dressing – no one will ever know! 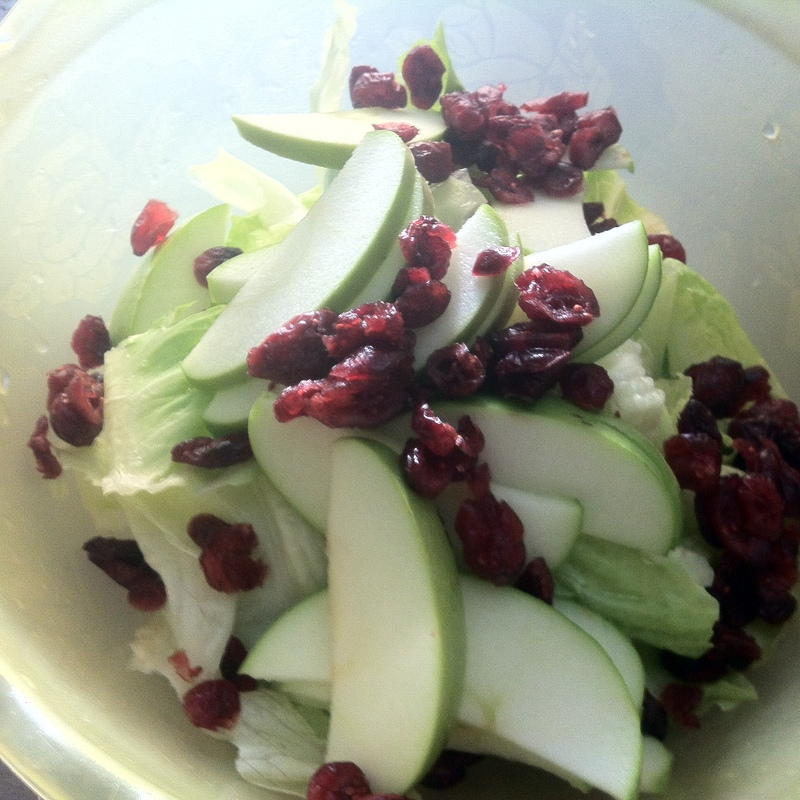 Your favorite additions – I like pears and cranberries, or sun-dried figs and blue cheese.. handful of each.